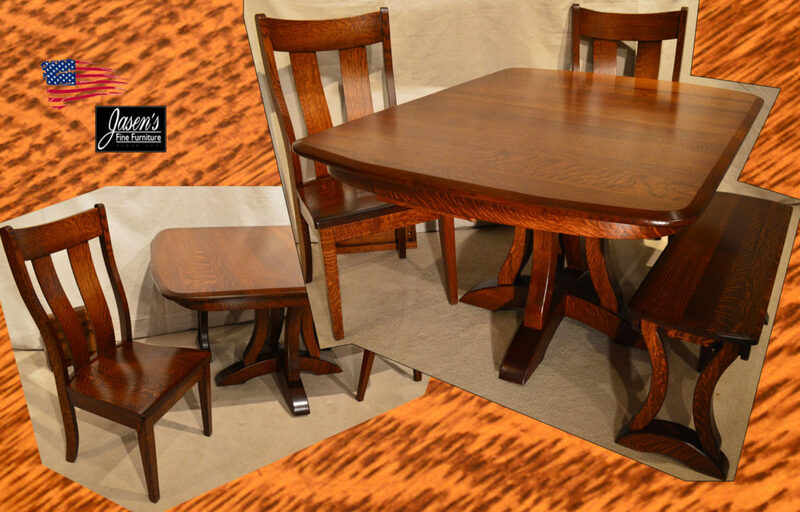 The Amish Richfield Table & Side Chairs feature a unique while modern Mission style. Richfield Dining table features a unique while modern Mission appearance. The table features almost Octagon top shape. Other unique features of the set in addition to its top are the curved pedestal legs. The most noteworthy feature is the table’s versatile option for seating. The bench is optional while providing ample seating to the mission charm. Finally, the table is solid Quarter Sawn White Oak. The set is Amish made hence Made in USA! Table Shown: 42″ * 54″ extends to 77″ with two leafs.